All our bag miraculously fit on one cart. Getting here was not as bad as I expected. Once I overcame the traumatizing experience of two hours of wild turbulence (started above Tahoe and didn’t end until we flew out of Canada.) I got Sage to sleep on the floor and she woke up 9 hours later. Anyone looking into long flights with little ones, this strategy has worked twice for me and is a lifesaver. Just bring some safety pins and when the lights go off, create a tent over the seats so the flight attendants can’t see that your little one is down on the floor. I brought her a cozy blanket from home and asked for an extra blanket when I got on the plane. So she was all set up down there in a cozy soft little cave. Then because the seat next to me was freed up (we were in a two seater) I was able to curl up and lay down too. I slept on and off for almost 6 hours. Thank God. A few movies and another meal later- we were three hours from landing. All in all… pretty easy. Also- leave it to the Saudi families on the plane to make me feel like a complete wimp. These women were traveling with a handful of kids like it was nbd. And after their 16 hour flight, they were transferring to Riyadh. Somehow my long flight anxiety didn’t seem like much of an issue anymore. We have been here for almost a week and the jet lag adjustment is greater than I expected. Sage’s naps were longer than usual and there were a few mornings when she was ready for action at 5am. One 5am morning provided a great opportunity for me to devour the coffee table book dedicated entirely to the Emirates. But then both Sage and I came down with some feverish version of the flu. Thankfully we are on the mend and are already heading off on our first long weekend trip to Sri Lanka. I am excited for Sri Lanka but also really looking forward to returning to Abu Dhabi. I am newly fascinated by Middle Eastern culture, Muslim culture, clothing, food, music… I can’t wait to spend more time getting out in the city and experiencing all that this wonderful place has to offer. My first stop is going to be finding some Arabic coffee with dates. YUM! 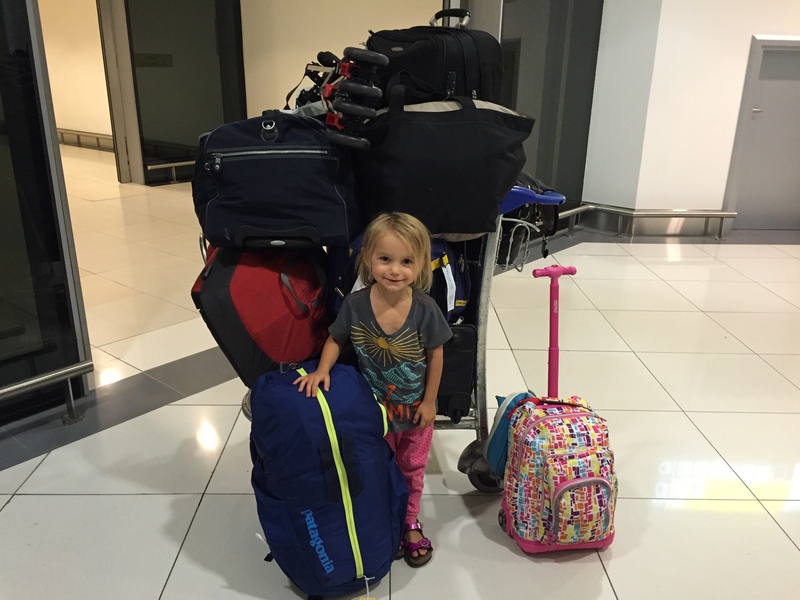 This entry was posted in Abu Dhabi, Lifestyle and Parenting, Middle East and tagged Abu Dhabi, travel with toddlers. Bookmark the permalink. It’s wonderful to hear your excitement and enthusiasm as you encounter your new home. I was 4 when we moved to Pakistan and lived all over SE Asia growing up. I have great memories. Love your blogs. Happy that you are recovering and anxious for your next report!